The look in his eyes says: "Get this over with quickly, so that I can go back to sleeping". I quite liked the following "out-take" as he looks kinda spooky. 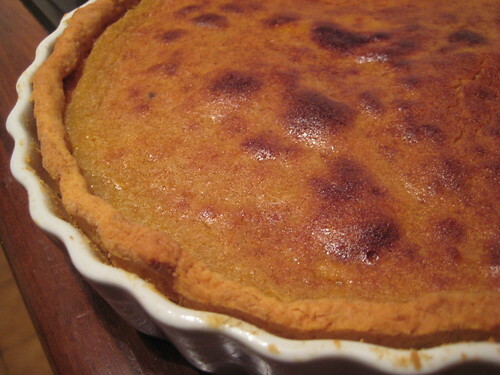 I'm a little more into Halloween this year than normal and actually got all American & baked a pumpkin pie which I'm taking into the crew at Great British Chefs today. Over on Facebook this opened up a lot of discussion about whether pumpkin pie should be served hot or cold & other pie related questions. Expect to see more people on the London Underground dressed up as ghouls, goblins, witches, devils & a whole load of other scary things tonight as the Halloween parties come to an end. 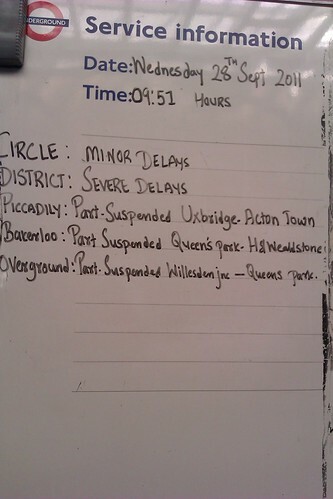 And as usual as Spiritquest's (@Ketan) great picture above on the Northern Line (taken en route to BarCampLondon) from yesterday shows, expect most Tube travellers to think it's all totally normal & ignore them. 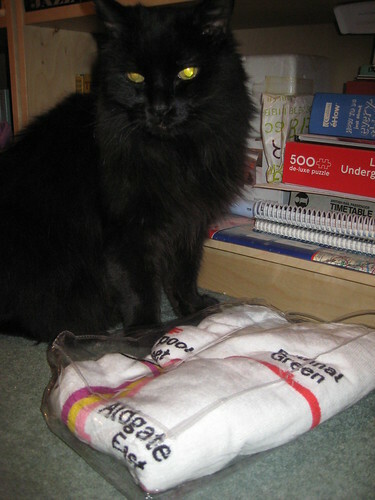 Bolli posing with my belated birthday pressie of a Tube Map Beach Towel - thanks Trish! 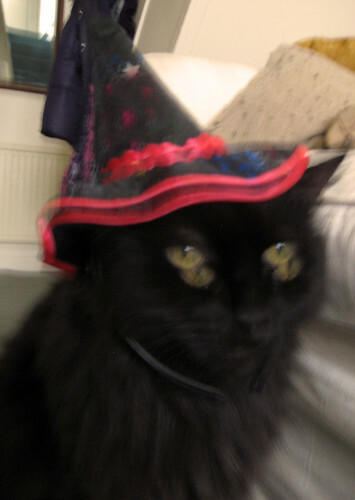 We're both proud to support Black Cat Awareness Day - so surprised people think they are unlucky & they are harder to find homes for than other coloured cats - he's top! 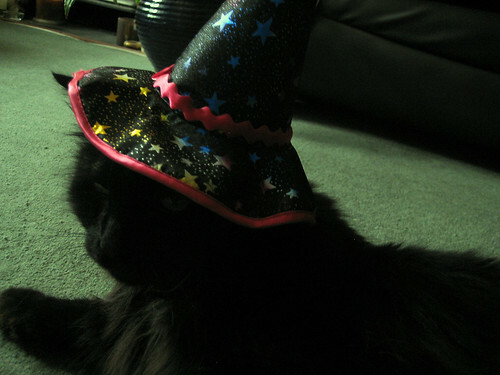 In case you haven't noticed it's Halloween on 31st October. 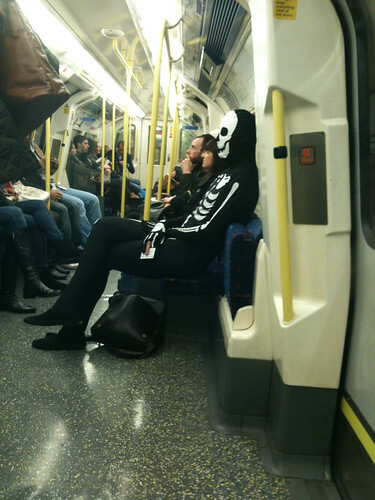 Expect to see the London Underground filled with all sorts of ghouls & goblins over the weekend (well people dressed up as ghouls, goblins & the like on their way to Halloweeen Parties). Neil wrote the fantastic Neverwhere a dark fantasy with loads of Tube related themes - real Barons at Barons Court, the dark Angels of Islington, people living in an alternative subterranean world partially populated by King Rats and travelling around on those "Special" London Underground trains with the windows blacked out. 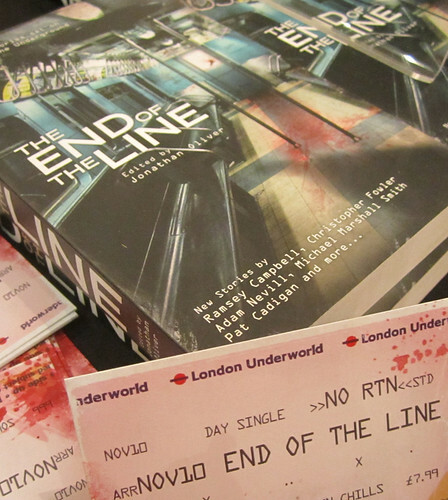 The Guardian are totally behind his campaign and are giving a way a free book of short stories this weekend which includes a scary story set on the Piccadilly Line. 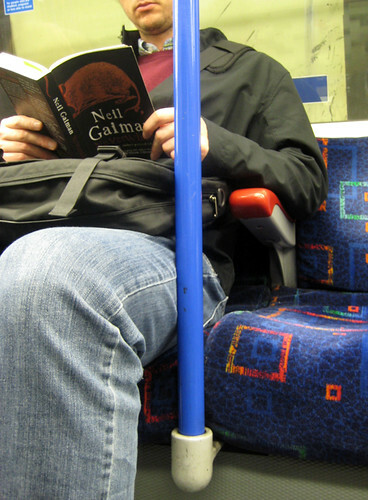 Other scary fictional Tube reads that would make brill All Hallows Read gifts or shares include The End of the Line and Barbara Vine's King Soloman's Carpet. For those who want non fiction spooky Tube Tales there's Underground London by Stephen Smith, Peter Ackroyd's London Under and Railway Ghosts by J A Brooks. Supernatural Steam also by J A Brooks isn't Tube related by if you're a railway enthusiast is is full of strange steam railway sightings (the latter two are super cheap on Amazon as they're pretty old). I'm sure I've missed other scary Tube, train or London Transport reads and feel free to leave your suggestions in the comments. 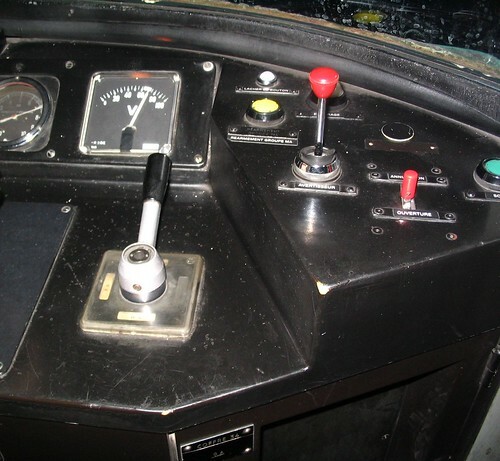 The old chestnut about the prospect of driverless London Underground trains is in the news again after the RMT "leaked" a TfL paper stating that driverless trains could run across the network within 10 years. The Operational Strategy Discussion Paper says that this along with mass ticket office closures and a contactless method of paying for London travel (bye bye Oyster) could save £2 billion by 2018. 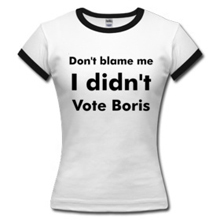 The RMT's leader Bob Crow said the plans were "a blueprint for jobs and safety carnage". He continued "Every single ticket office would be closed, stations left unstaffed and drivers would be thrown out of their cabs without a single thought for passenger safety.......RMT will work with our sister Tube unions and passenger groups on a campaign to ensure that this document and its proposals are consigned to the dustbin of history". "This plan shows how the LU operational model will evolve to meet the changes of the next decade. It delivers taxpayer value through a significant reduction of the cost of operations"
"The Tube is now carrying 1.1 billion passengers a year. 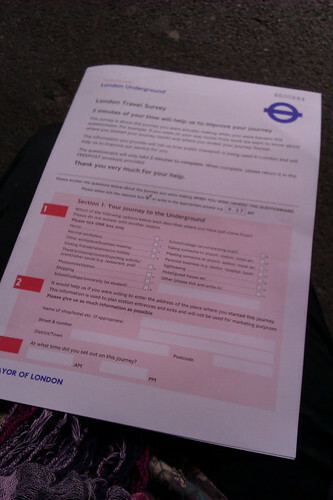 Londoners want a modern, safe, economical and efficient Underground. This discussion paper contains some suggestions as to how that might be achieved." On the front page of The Standard, the story continues inside with thoughts from commuters who seem more than happy with the prospect of driverless Tube trains. The Victoria, Central and Jubilee lines already run in semi-automatic role and apparently little practical change is needed to operate without a driver. The DLR also has driverless trains. 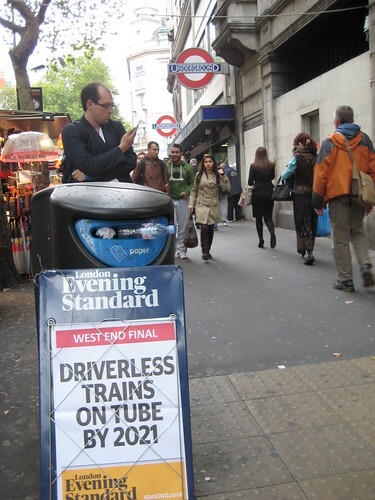 One of the people that The Standard interviewed said "Driverless trains are a fantastic idea. 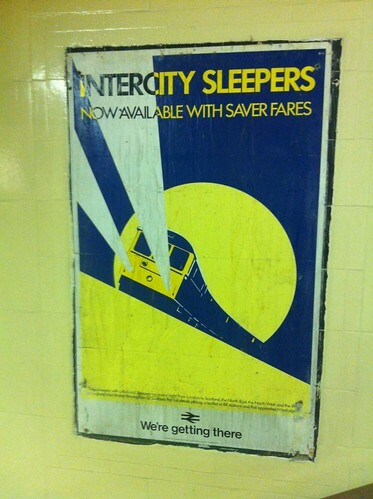 I think Tube drivers are the most overpaid people in London." 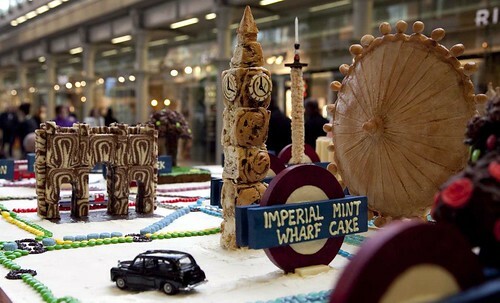 Another said: "I am totally behind anything that would make London transport quicker than it already is." A third agreed: "I think this is an excellent idea, efficiency and effectiveness are necessary. We can put savings to good use." The jury's still out for me. Sure I get that there are lots of efficiencies to be made, personally, to me, it still feels a little weird not seeing a driver on the DLR (even though I know it's been like that for years and years and there are also people on the train to make sure bags and coats and limbs don't get stuck in closing doors). The RMT's argument is that a lot of drivers also helped passengers during the 7/7 terrorist attacks and there would be no-one to assist in another emergency like that. Even if there were automated trains it's not likely to stop strike action (this whole thing is definitely a move by Boris Johnson to take away the unions' power to hold the country to ransom over strikes). Someone somewhere still has to operate the computers that operate the trains & the likelihood is that those people will belong to rail unions. At the moment these are only plans but like it or not, I believe that in time more driverless trains will be rolled out. Smart ways of paying your fares will also be rolled out & unfortunately that means that fewer people will be needed to run ticket offices & get involved with managing the Oyster system. What are your thoughts? Are you concerned about the safety issues of not having drivers? Do you think that mass ticket office closures will lead to platforms & stations becoming a "paradise" for vandals & muggers as Crow suggests? 299 stations. 16 lines. 133 miles of track. And some "Je ne sais quoi". 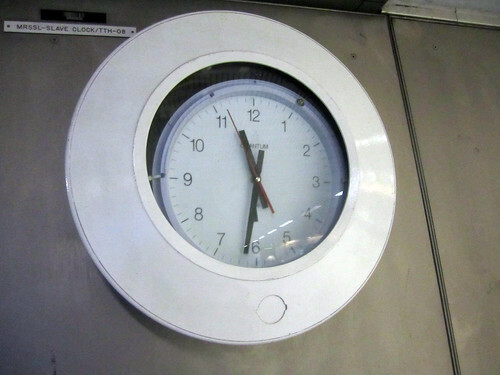 That is what was involved when Tube Challenger, Adham Fisher, applied the challenges of travelling around each station in the fastest possible time on the London Underground, to the Paris Métro in mid August 2011. 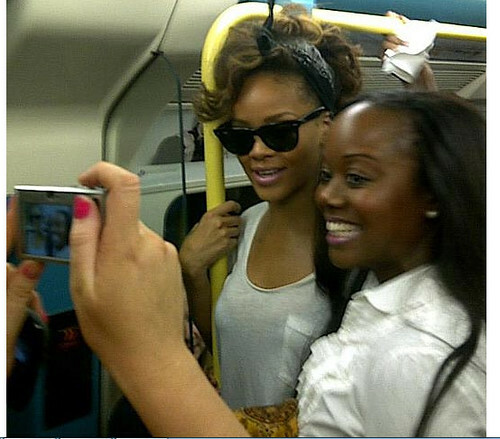 "I had heard of a couple of other attempts at this (http://www.rioleo.org/guinness-world-record-subway.php and http://www.oxfordmail.co.uk/news/3681672.print/). No participant was Parisian or even French. 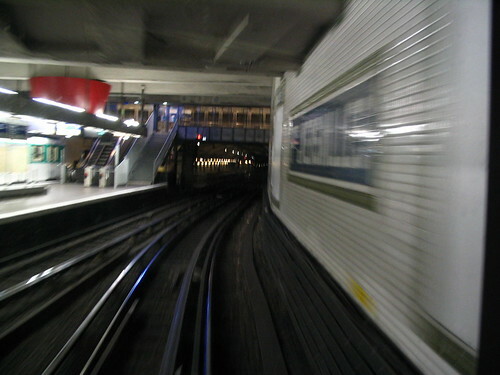 We are used to some Londoners knowing the Tube inside out, being enthusiastic about subterranean travel and therefore being the most likely to try and attain a record there, but if one suggested to the average Paris resident that she or he spend 15 hours on the Métro, one might be banished to the suburbs. "Le Blog en Commun first broke the news across the Channel and I went to all Métro stations in 13 hours, 37 minutes and 54 seconds. - The song, Métro, which we wrote for the occasion. Thanks to Annanem. "Baffling, pointless, therapeutic genius" say the Parisians. - My companions. Very well done. - My interview on French radio. - Meeting the Metro map master himself, Mark Ovenden, whose book, Paris Metro Style In Map And Station Design I had read in preparation. 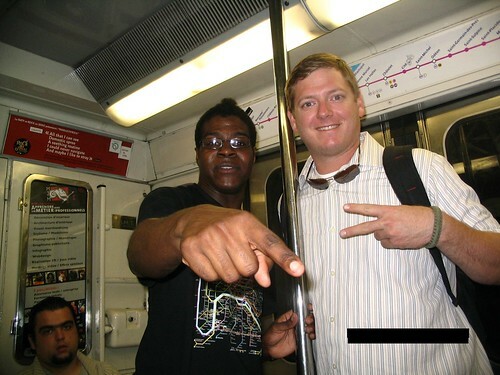 I had an orange juice with him the day before and he offered great words of encouragement and a little metro quiz. His new book, Great Railway Maps Of The World, is out now. - The family who gave me a pencil after I had lost two pens in as many minutes so I could continue writing. I offered them two euros for it but they said "It's for you." 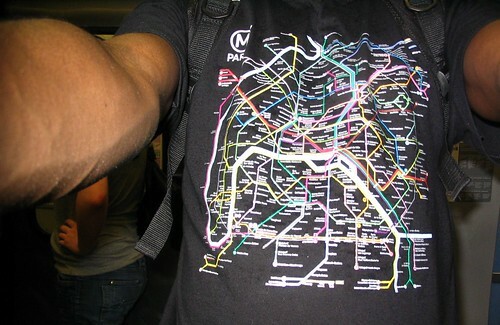 - I was on a train with an American chap and asked if he knew about the New York Subway record. 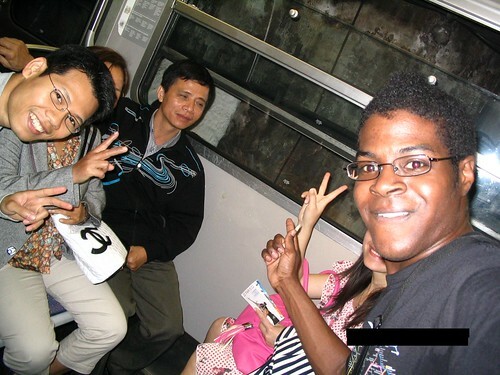 He replied that he was from North Carolina, and apparently there are no subways there. Nevertheless, he was so intrigued by what I was doing that he insisted on having his picture taken with me. - The Métro driver who, after hearing what I had done the next day, let me ride in the cab for a few stops. That makes two cities where I have had a driver's eye view. 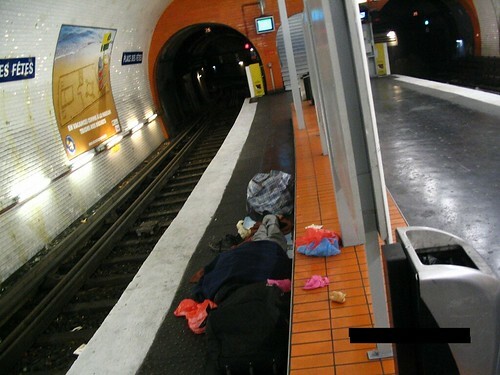 - The people sleeping on station platforms. I hope they were not disturbed. - There were many bad points, but none compare to the creperie in the Chatelet area where I bought the team a celebratory round of drinks afterwards. Ten euros for a small vase of cider. That's £9.99!" Thanks Adham for that great story and you can read more about Adham's Subway Challenges including his Chicago Subway Challenge here. Hard to believe it, but at the end of this year this blog will have been around for nine years. If someone had asked me in 2003 whether I would have still been doing this in nine years time, I'd have probably laughed at them. It's not been an easy nine years. It's had a lot of ups and a shedload of downs. In those nine years I've split up with my husband, seen a book I did research on get published, witnessed the nightmare of July 7th, had an almost two year relationship with a fellow Tube geek, won a few blogging awards, had a number of jobs, helped to raise a few thousand pounds for some charities (including Tube Relief with Geoff Marshall & Action Against Hunger), interviewed authors I really admire (including Neil Gaiman & Christopher Fowler), been on national TV & radio a few times, run Nom Nom Nom four times, met & had tea with Transport Commissioner Peter Hendy, spoken to a number of celebs including Al Gore, Ken Livingstone, Alistair Campbell, Jon Snow, Piers Morgan, Mr T, Craig out of Big Brother, Roland Gift and Stewart Lee, witnessed some of the worst riots this country has seen and now I'm about to be Social Media Consultant (on a voluntary basis, I'm not giving up my day job) for The Old London Underground Company (some people will stop reading now - I can guess who you are). What have I learnt in nine years? Hard to say, but here's nine observations that may or may not be of interest. 1. I will give up blogging one day, but only when it becomes much more of a hindrance than fun or I'm too old to travel on the Tube often enough to blog. 2. I've met some AWESOME people who've become good friends through blogging and value their friendship more than I can say. 3. I still get a big kick out of seeing my blogging mates' achievements, whether that's winning Observer Food Monthly's Best Food Blogger (well done Niamh), producing their second album (well done Laura), getting their blog made into a Channel 4 TV Series (well done Brian/Tom), getting books published or about to be published (well done Zoe, Malcolm, Julia, Tom, Londonist guys, Collin & Mark & I'm sure I've left out others), seeing them on TV (L J Rich - you're brill), hearing them present radio shows (Jamillah, Zoe and Chris - always thought provoking, professional & quirky), seeing their writing get made into TV pilots or on stage (well done Mike), seeing them pick up OBEs with their families (Gia - still slightly freaked out by seeing Brian's face on cover of Wired last month) or the many, many, other achievements that would be enough for most people to dine out on for months. 4. I know that I upset a lot of people and I've finally got to the stage where I don't care that much any more. I don't mean that in an arrogant sense, but in the sense that I don't lose sleep over it any more. I used to. 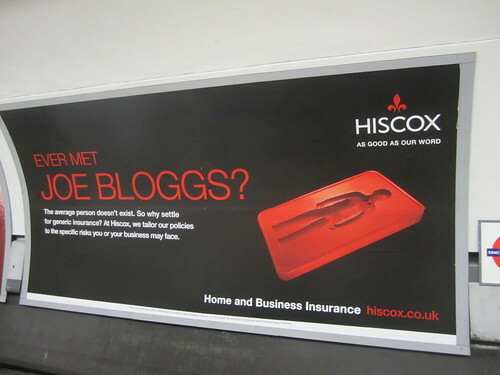 I wondered what I'd done to piss off someone so much that they parodied my blog. I used to lose sleep about the comments I got on controversial blog posts. I don't think I'm a fundamentally evil person. I know I can be annoying. Sometimes I can be too honest for my own good. I don't suffer fools gladly. I can get impatient, but generally I try to listen to what people have to say. In conference or seminar situations (unless I'm the speaker) I try to follow the premise of "You have two ears and one mouth, use them in that order". Thanks @sleepydog for being the first person I heard saying that. 5. I know that blogging will be around for a long time and may possibly outlive Twitter and will certainly outlive a lot of other social networks. 6. Getting a cat of my own has been one of the best things to ever happen to me. 7. I don't like numbers when it comes to blogging. Numbers don't really mean much by themselves. Traffic, numbers of followers, numbers of Facebook Fans, number of blog posts a week, word counts. It's all pretty irrelevant unless you have some passion behind it. Don't settle on being average, no one is average, everyone has something unique about themselves, find your uniqueness & enjoy it. This presentation I did in 2008 still has some thoughts on blogging that you might find helpful today. 8. Maybe one day I'll get rid of this retro yellow background & design. Maybe I won't. 9. It is possible to carve out a niche for yourself through blogging. It is possible to get The Mayor to read your blog posts. It is possible to get journalists to read your blog posts & Tweets on a daily basis and look to you as a "news source". It is possible to get TfL and the British Transport Police to keep an eye on your blog. It is possible to be more influential that you possibly realise, and that realisation is always a shock. Because in your heart you know it's just you, a computer and a lot of other people who've trusted you for many years. To those who have trusted me & the blog and those who will, I'd honestly like to thank you all. I know I'll never meet the vast majority of you in person, but you've changed my life. I owe you a pint. With the last Guess Where Tube 11 most people guessed that it was on the Victoria Line, which was pretty obvious because of the moquette. A number of you thought it was Seven Sisters. But it was in fact at King's Cross on the Southbound platform. Antje got it right, so well done to her. Worst Tube Station to Work At? What's the worst London Underground station to work at? I reckon that the ones around Wembley are pretty ... err.... challenging for staff. 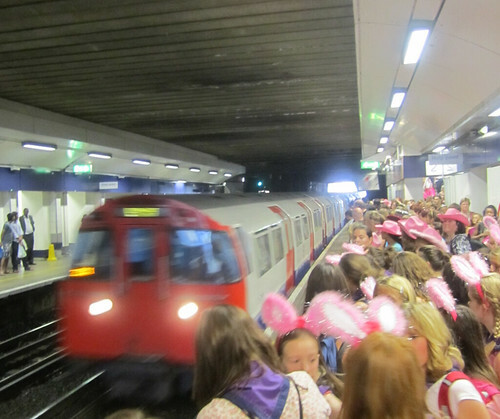 One minute they could be putting up with drunken football fans, the next the platform is invaded by hordes of pre-pubscent girls wearing pink rabbit ears & cowboy hats. This was the scene I saw at Wembley Central yesterday. The platform was chock a block with all these girls with constant announcements from station staff to "Stand back from the yellow line", to "Move down the platform so we can all fit you on", to "Mind the gap when getting on the train". All the while, having to hear excited chatter, whistles and the general noise that several hundred 9-14 year old fans of The Wanted make when having a trip to London. 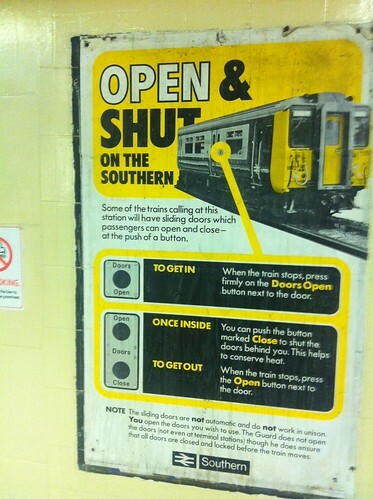 Station staff at Wembley Central and Wembley Park, you have my utmost sympathy.